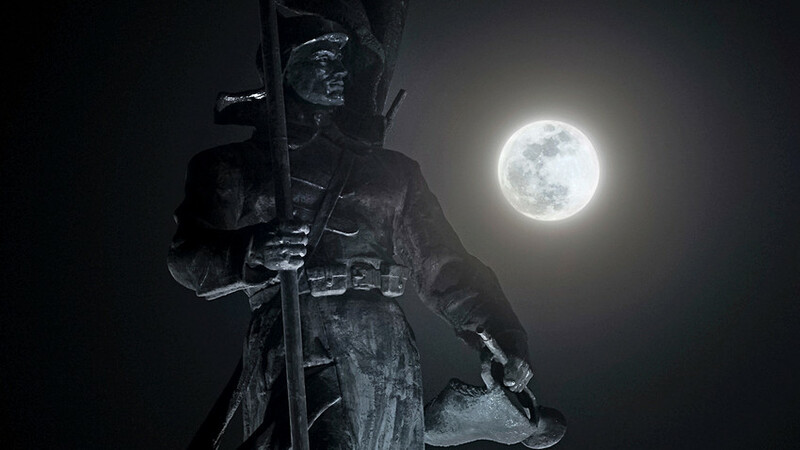 The full moon shines over a monument dedicated to Red Army heroes in Vladivostok, Russia, Wednesday, Jan. 31, 2018. The full blue moon was seen as a Supermoon over Russia Wednesday. Didn’t catch the super blue blood moon over Russia last night? Russia Beyond has collected a few amazing snaps of the ultra-rare phenomena. Not one, or two – but three separate natural astronomical phenomena occurred in the skies above our planet on Wednesday and Thursday night: Known as the Super Blue Blood Moon, it’s a lunar eclipse with a super moon and a blood moon as well. This hasn’t been seen in the Eastern Hemisphere since 1982 – while the Western Hemisphere last witnessed one over 150 years ago. 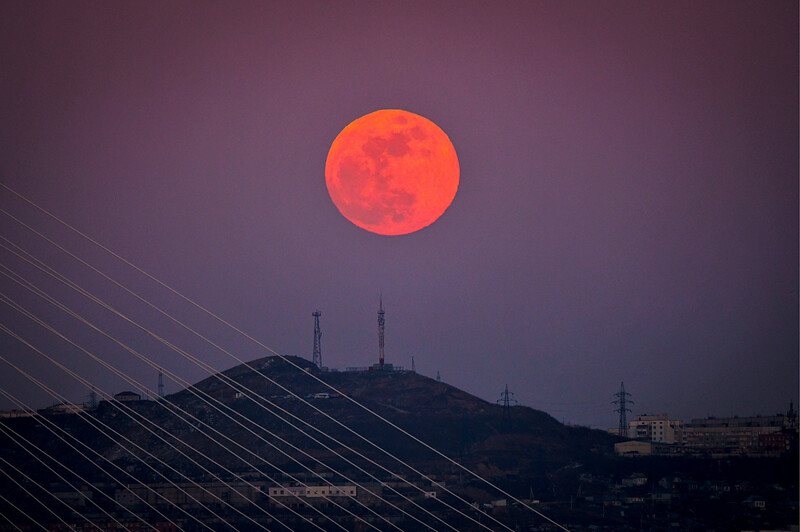 The red full moon rises over hills in the city of Vladivostok in Russia's Far East as a Blue Moon, supermoon and total lunar eclipse occur at the same time. Russia was treated to this beautiful sight in the middle of the night on Thursday, while stargazers in Australia, Asia, and North America were also in luck. 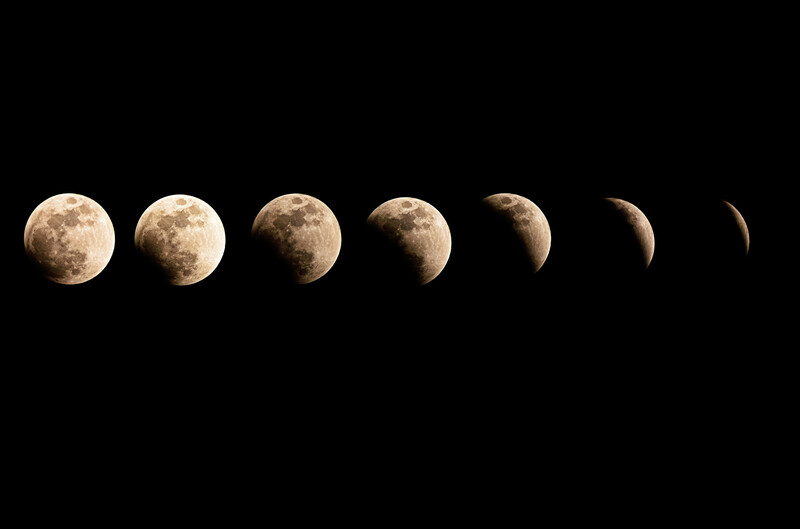 Phases of a total lunar eclipse during a blue moon and a supermoon. Supermoons occur when a moon is full at the same time as it approaches its closest point to Earth. 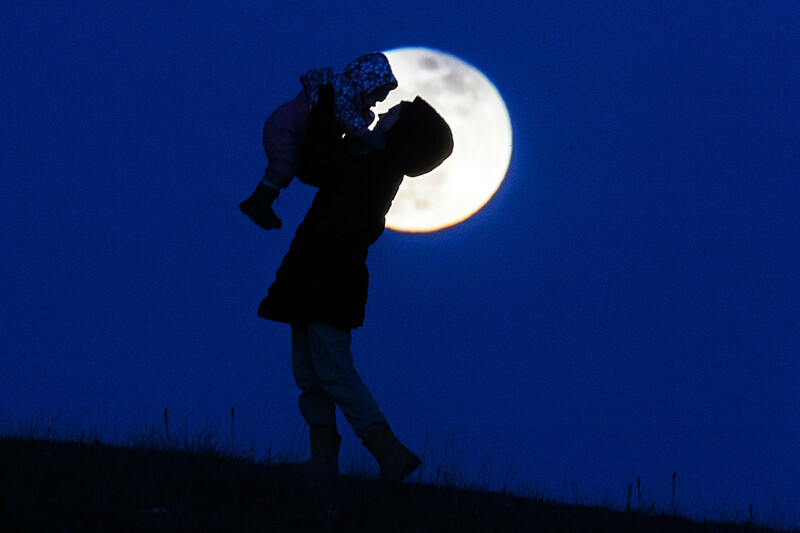 Supermoons can be 14 percent as big and 30 percent as bright as an ordinary full moon. A young woman taking her infant for an evening stroll in Simferopol. If the supermoon also turns out to be the second full moon of the month, it becomes known as a blue moon. When an eclipse occurs, we also get what is known as a blood moon: the ball turns orange, almost dark red in color. All three together are known as the super blue blood moon. 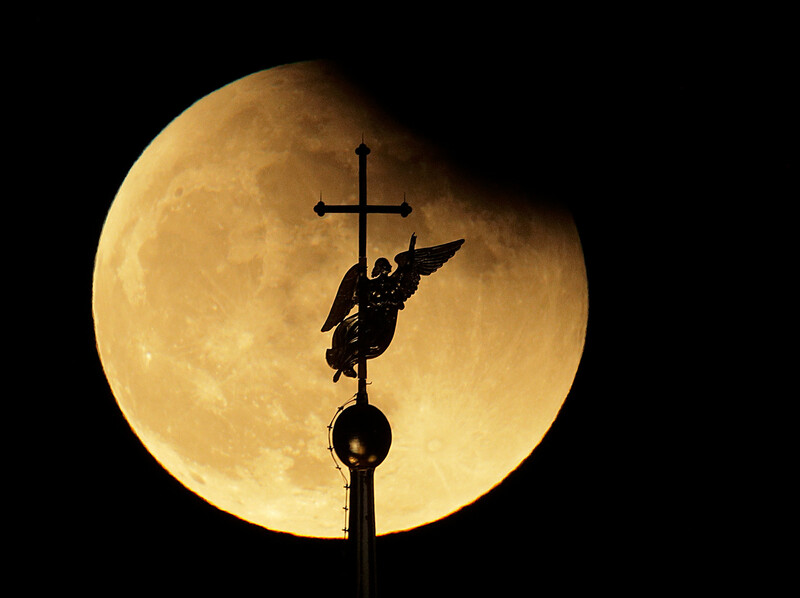 The city landmark weather vane in the form of an Angel, fixed atop a spire of the Saints Peter and Paul Cathedral, is silhouetted against the moon, as seen in St.Petersburg, Russia. Although this coincidental occurrence is extremely rare, NASA says we won’t have to wait too long for the next event in 2037. And here’s a video of the beautiful phenomenon.